In a recent report from the Oxford Business School, it was estimated that 66% of Ghana’s rice consumption was supported by imports. This figure might sound almost absurd when one considers the availability and fertility of soil suitable for rice crops or the dedication to hard work of Ghanaian farmers. Part of the endeavour to restore better levels of local rice production - the government-driven irrigation project in the Volta region (East Ghana) - started around 4 years ago on an area extending over more than 5,000 hectares. With a willingness to provide land to a maximum number of farmers, plots have been limited to 4 acres per owner. Soon after the irrigation canals were built, the Dutch-Ghanaian agricultural business, Wienco, ventured into this project. With their rice mill and a built-network of outlets for the packaged rice, they complete the agricultural value chain that helps willing farmers to make their output marketable. Moreover, Wienco provides farmers not only with inputs such as quality seeds and fertilizers, but also with practical guidance, which ranges from farming training to follow-up on yields using a data software measuring each plot’s performance. As for contribution of the inputs, Wienco, which experienced financial liquidity constraints, started a collaboration with Advans Ghana that will take on the charge of disbursing in-kind loans. 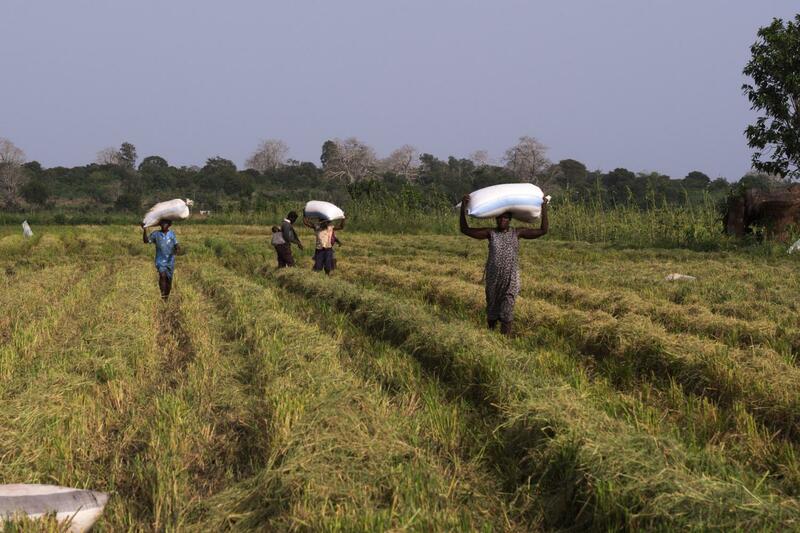 Advans Ghana, a Microfinance institution and a Kiva Field Partner, offers affordable loans to farmers indirectly through Wienco, which receives repayments in-kind (rice supply) before eventually repaying Advans Ghana. However, this affordability was only achievable thanks to the support of Kiva and its contributing lenders, who could provide funds that makes the project more viable to farmers who decided to join in Wienco’s scheme. While the first occurrence of the Kiva-Advans-Wienco partnership should have taken place in May 2017, it had to be postponed to the second harvest time of the year, that is November 2017. A blessing in disguise, I was then able to assist them for their first collection of Kiva profiles. 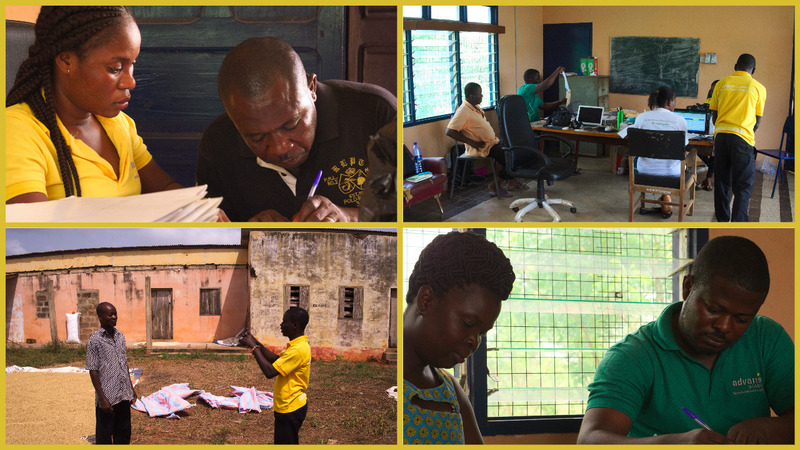 We headed to Wheta District, in the Volta region, where farmers would show up to our hastily-arranged office and receive their in-kind loans. For one full month, Wienco and Advans staff will make themselves available for farmers, who will be able to use the inputs for the planting season, which happens right after the crops have been harvested. 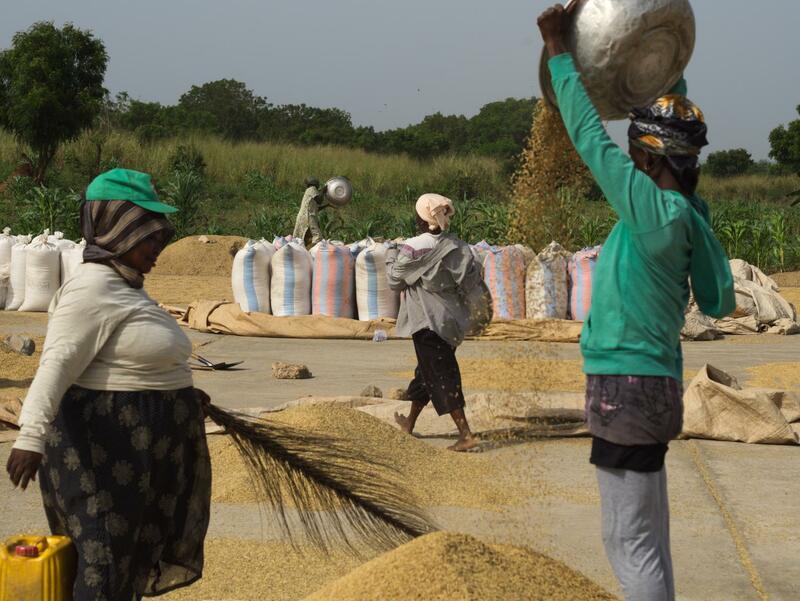 From now on, this multi-partners collaboration shall occur twice a year for every rice season with hopefully a lasting impact on Ghana’s agriculture development and on farmers’ livelihoods. Click here to review the funded loans from September and make a loan to a farmer in Ghana yourself!